Does Domain Expiration Affect Site Ranking? For a long time it was believed that how far out the domain expiration was affected a site's ranking with Google. The thinking was that if you bought a domain for five years versus one, for example, that it showed you were serious about the site and therefore Google would give it preferential treatment. "A bunch of TLDs do not publish expiration dates -- how could we compare domains with expiration dates to domains without that information? It seems that would be pretty hard, and likely not worth the trouble. Even when we do have that data, what would it tell us when comparing sites that are otherwise equivalent? A year (the minimum duration, as far as I know) is pretty long in internet-time :-)." His reasoning makes sense as to why Google wouldn't judge websites based on how soon the domain is set to expire. Another reason is probably that many people buy a domain a year at a time but set it to auto-renew. Each year their credit card is charged and the domain is renewed for another year without them having to think about it. It would seem inaccurate to judge websites based on the fact that, in those cases, the expiration might be less than a year but the owner is very committed to their site. Having said all that, there is a related metric that does matter: domain age. Domain age is how long that domain has been in existence. If site-example.com was never purchased or used before you registered it, for example, it has a domain age of however long it's been since you've owned it. 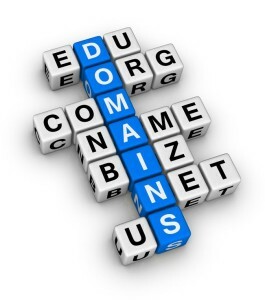 It may not be a huge ranking factor, but generally speaking the longer a domain is registered the more it is trusted. After all, it's easy to buy a domain today and slap a site together that isn't useful or legit. But if your site has been around for 5-10 years it's more likely to be both useful and legit, so Google weighs that site a bit more favorably than a new one. design|One|web > Frequently Asked Questions > Does Domain Expiration Affect Site Ranking?